We recently finished our yearly standardized testing, even though our state does not require any type of testing or reporting for homeschoolers. The decision to participate in standardized testing is entirely our own. Recently, I've been asked why we test when it is not required. 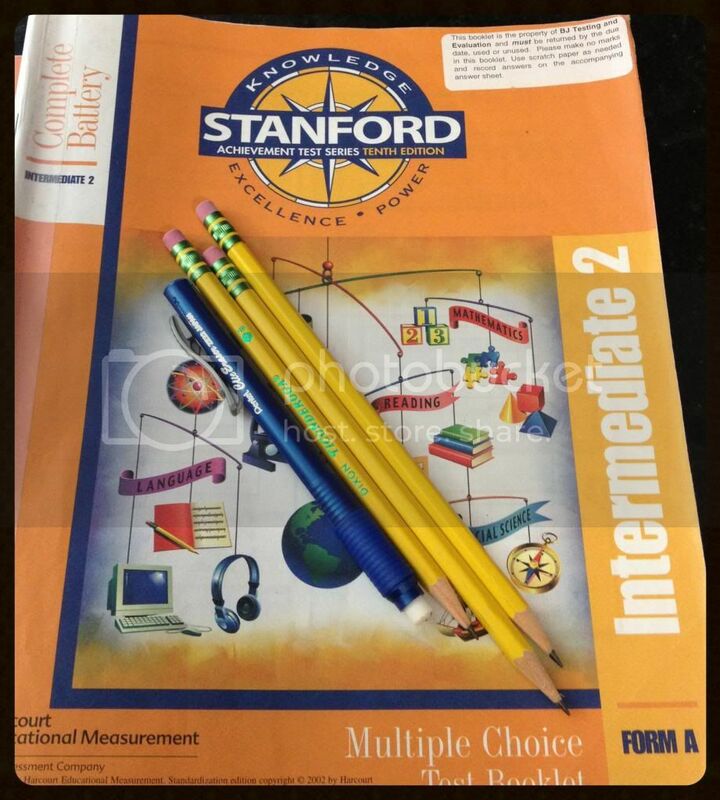 When Amber was in parochial school she had week long standardized testing, utilizing the Standford 10 tests. We were always pleased with her results, but they honestly didn't mean much. The parochial schools had no accelerated classes and didn't do much in the way of IEPs either. The tests were mainly used to help the schools show their effectiveness. When we withdrew Amber from parochial school in the middle of fourth grade, we made the decision to go ahead with the Spring standardized testing. Mostly, we were curious how her test results would compare to the previous years, especially since neither the school or I seemed to be teaching "to the test". There was also a little bit of fear that we were not homeschooling "right". I became a certified Standford 10 tester to allow us to test at home in an effort to reduce some of Amber's general stress and anxiety. She dreads tests of all kinds, but usually does well on them despite the anxiety. Amber's results last year were the best we had seen from her, ever. Despite not covering portions of the Social Science or Science topics in school that year she still scored 95 percentile, or above, in everything except listening, which is an entirely different issue related to Amber's SPD. Everyone was proud, and we filed the results away never to be viewed again. Seriously. Then, January of this year rolled around and it was time to think about standardized testing again. This has been Amber's first full year of homeschool, and we definitely have not been learning the standard 5th grade topics in every subject. I told my husband that I could guarantee she would have difficulty in science, especially since we skipped all life sciences portions in favor of waiting for the full year Biology course for 6th grade. Amber deplores life sciences, as do I. 5th grade was our reprieve from the dreaded topics. We also already know that Amber will do poorly on the listening portion of the test. She has weekly sensory therapy that works on this issue, among others, but Amber is still not where she should be in every day listening skills. However, this actually added to our reasons to test this year. 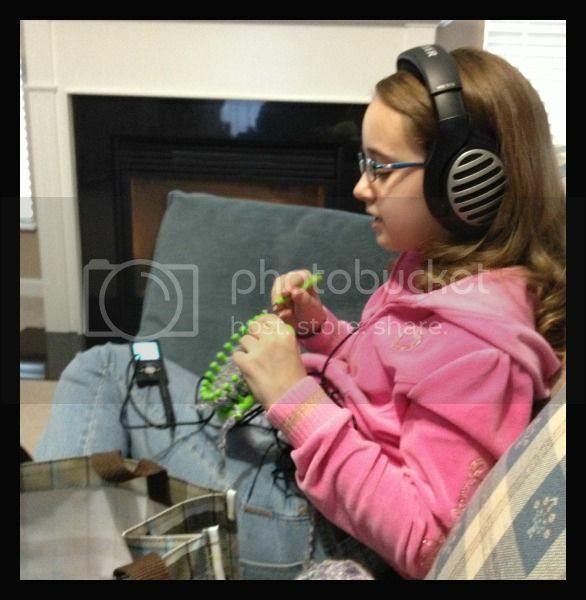 We want to compare Amber's listening skills from last year to this year, in the hopes to see some progress after nearly a year of sensory therapy. Using TLP from therapy to work on listening skills. The major negative against testing is Amber's anxiety over the tests. If the tests are not required, and are only for our family's benefit, then why should we continue to test her? She has indicated a desire to skip the standardized tests. We waffled back and forth, debating the benefits of testing, for over a month, but finally came to the decision to test Amber this year too. The points in favor of testing seemed to be more relevant that the points against. We are still fairly new to homeschooling, and part of me would like to see how Amber is doing on the same standardized tests that she has always taken. Additionally, Amber will have to take some tests of this nature when she is older for entrance to either parochial high school or college. We aren't sure what Amber's future education path will be, except that it includes college. It seems good to let her experience the standardized testing in a stress free environment, so that she can possibly feel more confident in taking tests like the ACT or SAT later. Then, there is the point that shouldn't matter, but it does. It is so much easier, as a homeschool parent, when talking with public and private school parents to acknowledge that your child goes through testing just like their children. I don't feel like the odd person out; the weird mom who homeschools an only child; the parent who eschews all aspects of school. I know other homeschooling parents may see this as a weakness, but I see it as a side benefit to the decision we already made. As for the future, our state is participating in the Common Core and the local school districts are all migrating to new standards. We choose not to follow the Common Core guidelines with Amber, but instead a Classical approach to education. I'm hopeful that if we continue to test Amber each year, we can demonstrate the classical education to be just as effective as the Common Core. You've got some valid reasons for testing! Hopefully, the anxiety will lessen for Amber over time! Hope Amber has been feeling better this week! Have you gotten any medical test results back yet? Ugh.. no she is still feeling "yucky". Blood test is positive for celiac. Biopsy is inconclusive. She's on medication until the next GI visit. The medication is doing nothing for her... shockingly I take the same medication and it has been doing nothing for me lately either. We are in a holding pattern until early May, giving the medication a chance to work.